RV Days, Issue #26– What’s your RVing Routine? Here is our latest issue of RV Days, an update from Your RV Lifestyle. You are receiving this e-zine because you requested a subscription. Unsubscribe instructions are at the end of this issue. Okay, so we don’t keep to a regular schedule when it comes to sending out our RV Days e-zine. It sort of reflects how we live our RV lifestyle. Sometimes we have a lot going on; other times not so much. And while we don’t have a regular weekly or monthly schedule in our everyday lives, we do seem to have fallen into a bit of a routine. We think this is a common tendency among fulltimers, and perhaps RVers in general. After several years, patterns tend to evolve. In our case, we spent the first few years fully engaged in travel. We went cross country and into Mexico, spent our time hiking and sightseeing and visited an abundance of famous and not-so-famous destinations. Then we started incorporating workamping into our RV lifestyle. This allowed us to earn extra income, stay put for a while and save on fuel expenses. And we still had plenty of fun since we chose workamper jobs in locations we wanted to visit. We have taken workamping jobs in Wyoming so we could spend lots of time visiting Yellowstone and the Grand Tetons. We wanted to spend summertime near the ocean, se we chose positions on Cape Cod and in Myrtle Beach. While working some RV Shows in Florida, Arizona, Las Vegas and California, we were able to combine wage-earning with some great sightseeing and travel. And we have made an annual stint at Amazon part of our routine, For three years now, we’ve boosted both our wallets and our fitness levels by working in Amazon fullfillment centers for the peak holiday season. We tend to return to Florida each year for the holidays and to spend time with an aging parent. In our opinion, a fine place to be for the winter months. We stay at our Thousand Trails parks, reinite with RVer friends and enjoy the sunshine. As a departure from routine, last year we treated ourselves to a wonderful trip to Europe by RV. We rented an RV for three months and also did some B&B/rental car travel. A trip of a lifetime for us and certainly out of our norm! We are happy with our mix of routine and adventure, saving and spending. We meet great people, see new places, keep active, continue learning and pondering possibilities. How about you? We’d love to hear about your RV lifestyle. We receive a lot of questions about RVing at our site, and we do our best to provide responses. We also welcome input from other RVers so please browse the various topics. Feel free to add a comment to share your own tips and expertise. We often receive questions related to RV plumbing, electrical and battery systems. We remember how it was starting out. We believe that newbies and those pondering the RV lifestyle can really benefit from learning all they can. Time for an RV Vacation? Summer is getting near. Maybe you already have vacation plans or are considering possibilities for your own RV trip. Perhaps you have never traveled by RV before and are curious about taking an RV vacation. It seems like fun, but you aren’t sure if it’s for you. Well, we can offer some reasons why it’s a good choice. For one thing, it’s the ideal way to get back to nature. 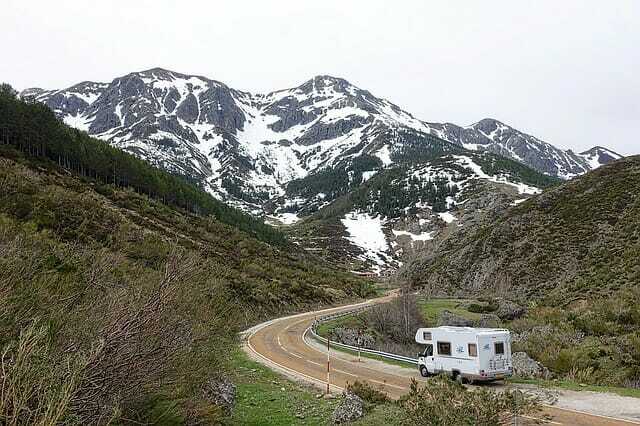 If you are interested in the great outdoors, an RV is perfect. You can visit state or national parks, tour famous landmarks and simply enjoy some fresh air and natural settings. Take a hike or go fishing. Try white water rafting or canoeing. Play some golf, go swimming, ride your bike. Get some exercise or simply do nothing but enjoy your surroundings. And travel with many of the comforts of home. With an RV you can have the best of both worlds. Enjoy the great outdoors with more creature comforts than tent camping. Whether you own an RV or try a rental, most RVs are well equipped. You will likely have a kitchen with microwave, fridge and stove, a TV and VCR/DVD player, beds, living and dining areas and bathroom with shower. Many RVs have slide out rooms that increase the living area at the touch of a button. You can sit outside under your awning, get out of the rain if the weather changes, and turn on the air conditioner if it gets too hot. Here are some more reasons to take an RV vacation. If you like this e-zine, please forward it to a friend. If a friend DID forward this to you, please subscribe by visiting us at your-rv-lifestyle.com. And if you are on the road, Put a Smile in Every Mile!